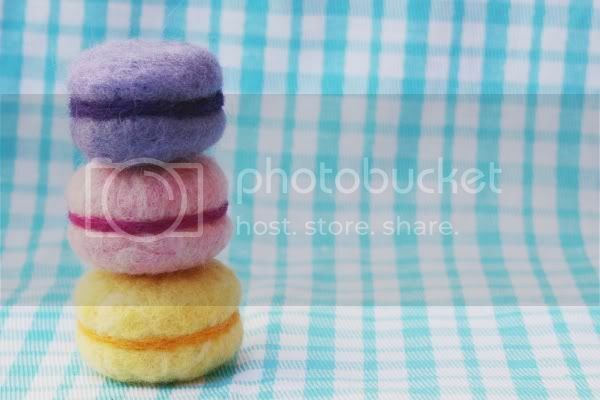 My felting needles have been busy, I had fun making these delicious little treats even though they were a bit time consuming and I stabbed myself several times. Apparently macarons are the 'new' cupcake, so felt macarons must be the ultimate in play food 'darhling'! I'm making them to order if you so desire...get your no calorie sweet treats here.